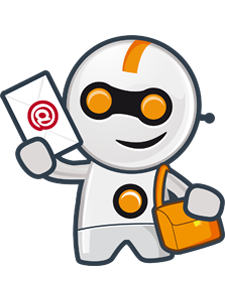 We recently gave some ideas on gaining subscribers to your email marketing lists. Here are six ways to ensure they stay and continue to buy. This means more than just discounts and including them in generous email marketing campaigns, although don’t ignore coupons and special reductions. It can be much more useful to offer them pre-release items ‘at cost’, or products you have restricted stocks of. Try anything that will make it obvious that you value them more than just for what you can get out of them. Use social media in order to build a community. This over-used word really means interaction, discussions and, that most important aspect, feedback. Some companies seem reluctant to ask subscribers what they want, possibly because they view it as taking up a slot that can be used for email marketing. You could include a link to a landing page where they can pick what they would prefer to concentrate on. If it gets few visits, then be overt. Send a specific email telling them that you want to offer them precisely what they want. The old ones are the best they say. A personalised marketing email has been shown in all research to increase click-throughs and completions. The only way in which they disagree is in percentages. There is no argument. Allow access to your archived e-newsletters by subscribers who have been on your email marketing list for a certain time, and have completed one or twice. Let others know of your generosity as well. I’ve mentioned before that I was asked to test a beta of a new item of software. I felt my expertise had been recognised. There must be some way that you can encourage subscribers to be an active participant in a promotion. You are telling them that you value their opinions. If you think all this effort might be a bit expensive, remember how much each new subscriber to your email marketing list cost. It’s much cheaper to keep them.